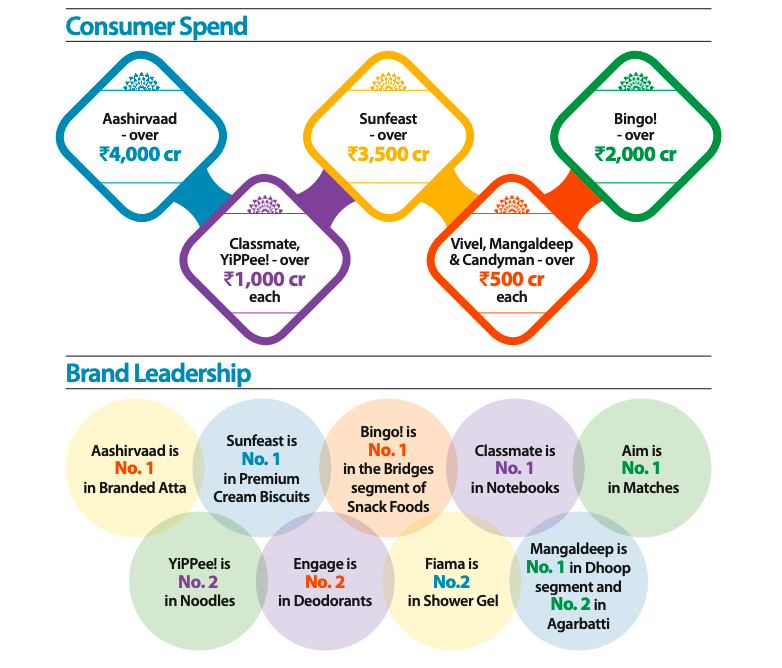 Fast Moving Consumer Goods (FMCG): Long-term Best Buys? adding my 2 cents, in general, FMCG category --a business with general purpose products with mass consumption will rarely trade at comfortable PE multiples, and when that happens it is for a very short duration. These are certainly best buy from a long-term perspective. 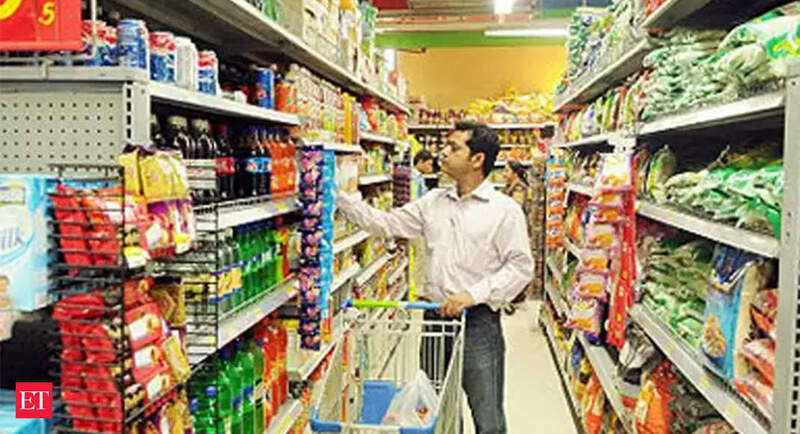 MNCs in FMCG comes with a lot of experience in dealing with the Global consumer base and are very competitive, and can manage to fight a fierce battle to retain market share and to stay relevant. Disclosure: Views may be biased; Invested in FMCG businesses; no trades in last 2 years. I, never looked at ITC seriously. Surprised to know it generates profits more than twice that of HUL and yet both are valued similar. Cash rich cigarette business funding other diversified lines of business is what is not liked by investors. But, plain vanilla numbers are staggering. At 29 PE this looks a value buy. Incase Hotel, paper or FMCG business shows a faster growth, then rerating can happen big time. 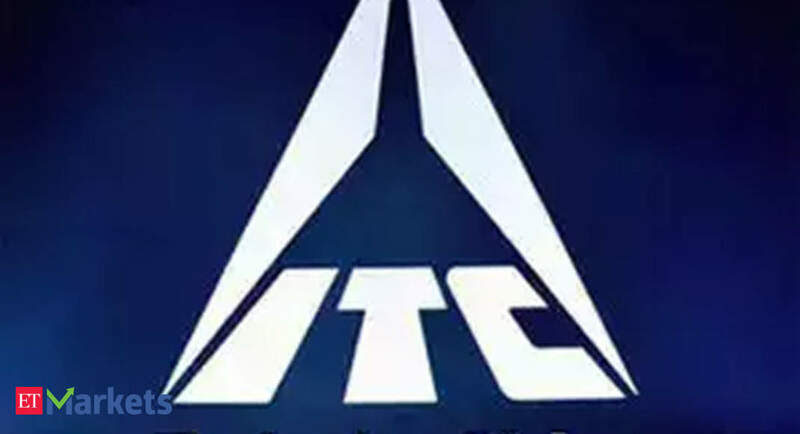 Had ITC continued to be only in cigarette biz, it could have been most valuable company. Now most of the positive triggers that you mentioned are demerger or listing of subsidiaries which we minority shareholders have no control. So doesnot it make a HOPE based investing…what should interest us is rather growth in these lines of business organically. 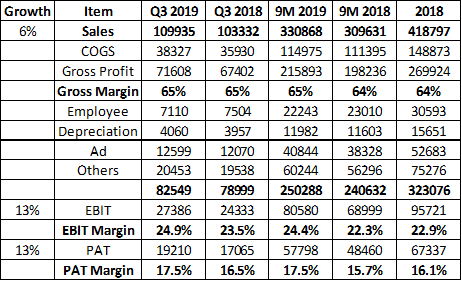 Cig business commanding 80% revenue will not do any good for PE rerating… If it comes down to say 60% in next 5 odd years, then we can expect a 50 PE x 2EPS =3 times share price growth. Just my 2 cents. I indeed feel sad that with so good free cash from cig business and massive distribution channel network, ITC should be able to wipe out other small Fmcg players like Patanjali or emami or Marico etc. No offence to the investors of these companies… Just putting myself in ITC management shoes. Disc. Not invested in ITC. But interested esp valuations aspect. You are right we cannot go with Hope investing - hence current valuation is @ fair level . Cig is @ 50% revenue contribution level and not 80% revenue , but profits still is primarily from Cig . This is becos other FMCG , hotels , paper board etc are in growth stage and hence @ different level of maturity. 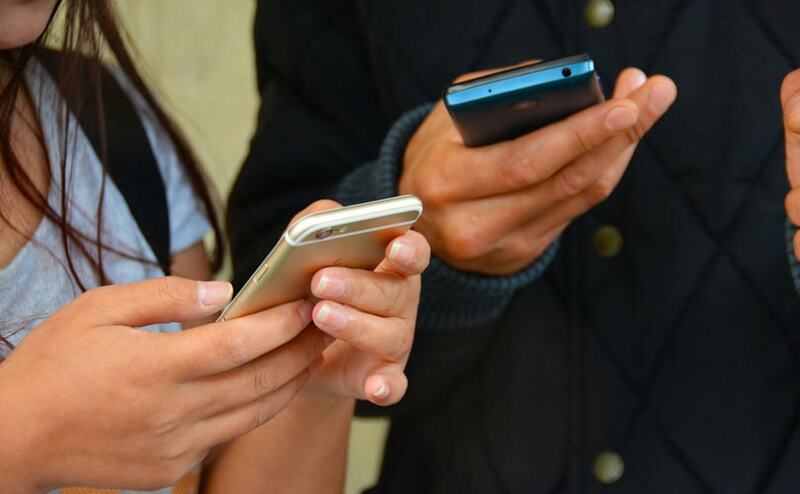 It is one thing to use perennial cash flow of cigarette business & distribution to enter multiple categories in FMCG and other thing to use every penny generated by profits to grow distribution, enter categories slowly, innovate etc. Maybe the perennial cashflow is the reason why ITC is not able to prosper as much in FMCG as it should have. A rich parent may not always have the brightest and most successful son Having said that I respect and use the products of both ITC, Marico etc. Completely agree on above points. Good to see you are having long term conviction in ITC. Have you sold any percent since 2009? I hold ITC in small quantity since few years but evaluate from time to time if I should increase allocation. 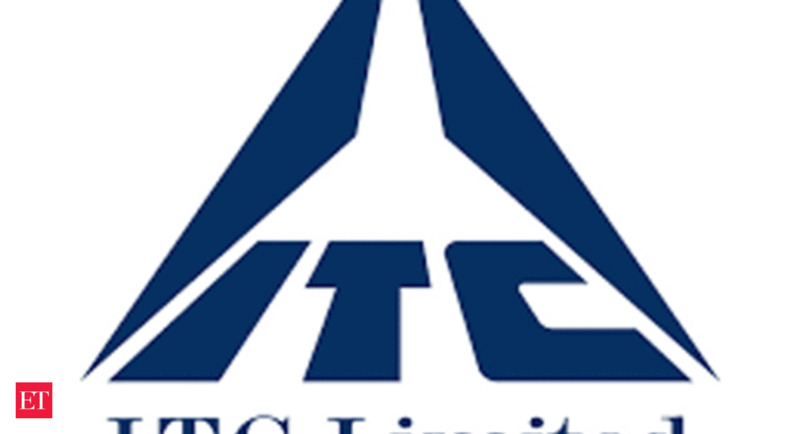 If ITC lists all its other business then holding company discount will come into picture. Also, in such cases, for minority investors, is a demerger better or IPO of its subsidiaries? Actually l was too concentrated in FMCG stocks around 2012/13 so I reduced it in 2012/13 and invested in other sectors . I have put across why I did so in my thread BULL in BEAR Market. Good set of nos from Colgate. On a Quarterly basis , sales growth is 6% & Volume growth is 7% while EBIT and PAT growth is 13%. On a 9M basis the EBIT & PAT growth is a satisfactory 17% & 19%. So far it has been a great 2019 for Colgate. I have been invested in Colgate for a full year now and it has done well through all the volatility experienced and has also given me a stable ~15% return over the period with low stress. Colgate's Vedshakti & HULs Ayush, launched nearly two years ago, were pitted against Baba Ramdevs Patanjali products, but have remained non-starters. Fascinating discussion on ITC by all the boarders. Thanks everyone for for the multidimensional inputs on ITC. Value growth remained nearly unchanged from last year at 13.8% after most companies held back increasing prices aggressively. ITC is aspiring to become Indias largest FMCG firm by 2030 in packaged food, personal care and stationary. You have a valid red flag for company like Kraft. 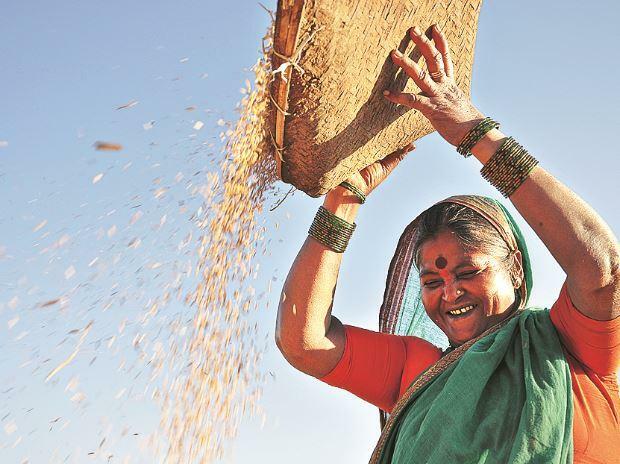 In Indian environment, do HUL, ITC etc provide huge goodwill numbers for each product line? I have not checked. Swadeshi movement is always possible! So unless Indian population boycotts Lux, Pantene etc in favour of domestic products, will this red flag apply to Indian MNC FMCG companies? Swadeshi movement. How do you define that? ITC is more Indian owned compared to companies such as Infosys and HDFC. Consumer will buy quality products at reasonable prices. That is rationale behavior in long term. Swadeshi movement can be short lived emotional response but does not last. Patanjali is a good example of how this storm fizzled out slowly.